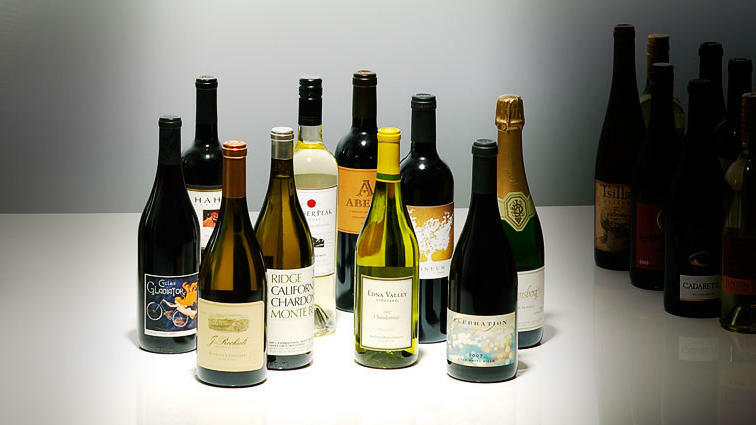 How the best was won: Our panel of wine pros nominated more than 200 wines, tasted them blind, and found a red and a white winner in each of our five categories, with 40 runners-up. White: J. Rochioli Rachael’s Vineyard Chardonnay 2007 (Russian River Valley; $70; limited release) Why we chose it: Perfect balance of bright apple and lemon cream. Red: Evening Land “Celebration” Gamay Noir 2007 (Eola-Amity Hills; $20) Why we chose it: Unusual, spicy red with minerals and dried flowers. In the past five years, more than 70 wineries have set up shop in the region wrapping the town of Walla Walla in the far southeast corner of Washington State, pushing the total to more than 100. Comfy inns have opened, chefs are turning local goods into yummy dishes, and Cab and Syrah have gone from good to great. You can walk to 21 tasting rooms from the center of town (we love Forgeron Cellars), or drive out through rolling hills to Northstar or Pepper Bridge. The fireplace by the pond at Walla Walla’s newest tasting room―Waterbrook―makes a great picnic setting; the pond at Waters and the lawn at Dunham are sweet spots too. Historic sleeps rule here: Walla Faces Inns’ restored downtown location, the Inn at Abeja’s turn-of-the-last-century farmstead, and the grand dame―the Marcus Whitman Hotel, with the most rooms handy to downtown wine crawling. Don’t leave town without trying Buty’s Merlot/Cabernet Franc or Spring Valley Vineyard’s “Uriah.” If you can’t find them, give the anonymous gas station (aka Walla Walla Wine Depot) just off U.S. 12 a try. We’ve even spotted Leonetti there. For more info, contact the Walla Walla Valley Wine Alliance (wallawallawine.com). Noble Rot wine bar in Portland, Oregon. One of the West’s oldies still does it best when it comes to pouring interesting bottles with just the right little plates at hand. Why we love it: Our favorite discover-really-incredible-wines-for-a-pittance hangout has a new address―with a view―and the same great sustainable cooking. Sips and nibbles: About 30 wines by the glass plus small bites, salads, and steak. Details A lot of the produce is as local as you can get―from the rooftop garden. $$; closed Sun; 503/233-1999. The Runners-up: Oxbow Wine Merchant, Napa; Yield Wine Bar, San Francisco; Purple Cafe and Wine Bars, Seattle area; Rosso Pizzeria & Wine Bar, Santa Rosa, CA. The vibe: Sleek, artful, and very much about good bubbles with food: On weekends, spring for the sit-down pairing ($60) in the Bubble Room, for inspired food like the “BLT” ―foie gras, applewood-smoked bacon, heirloom tomato, and mâche on toast points with the J Brut Rosé. Sips to try: J “Cuvée 20” Brut, J Pinot Gris, and J Robert Thomas Vineyard Pinot Noir. Extras: Stellar still wines along with the sparklers. $20 tasting fee (5-wine pour); 707/431-3646. Runners-up: Dunham Cellars, Walla Walla, WA; Robert Sinskey, Napa Valley; Press Club, San Francisco. Jim Clendenen of au Bon Climat.